It is a distressing experience for a patient to learn that he or she has been diagnosed with a spinal tumor. However, there are many different types of spinal tumors and various treatment options, and the prognosis for many tumors is better today than it was even just a few years ago. 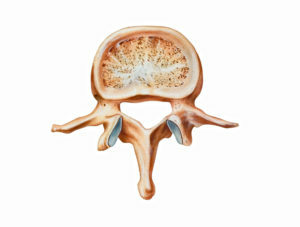 This article provides an overview of the types of spinal tumors and the various treatment options. It begins by addressing tumors and their treatment in a general sense, and then moves on to address specific types of tumors. Spinal tumors are abnormal growths of new tissue called neoplasms. They are relatively rare in the spine. In general, neoplasms are classified as benign (not cancerous) or malignant (cancerous). While benign tumors may be destructive to normal bone tissue, they do not invade other tissues. However, malignant tumors have the potential to both invade the structure of the spinal vertebrae and to spread to other organs. Primary: A primary spinal tumor originates within the bony structures of the spine. Secondary: Secondary spinal tumors originate in a part of the body other than the spine, but then spread to the spine. This process of spreading from one organ to the spine is called metastasizing.Because all secondary spinal tumors originated in a part of thebody other than the spine, they are all by definition malignant as they have the ability to spread between parts of the body. The symptoms caused by a spinal tumor depend on many factors, including the tumor’s location, how quickly it grows, invasion into other spinal elements, spinal cord and nerve involvement, and its effect on spinal stability. Back and leg pain may be the initial symptoms of spinal tumors. Some spinal tumors may cause leg or arm weakness and numbness, sciatica, partial paralysis, clumsiness, spasticity, bowel or bladder problems, or spinal deformity. Symptoms may develop gradually or appear suddenly, and symptoms usually worsen unless treated. The diagnostic process requires taking a detailed patient medical history and performing a physical and neurological examination. Additionally, lab tests and imaging studies can help to reveal aspects about the patient’s health that may not be apparent during the examinations. Complete Blood Count (CBC) with Diff: Checks the number of red cells, white cells, and platelets in a blood sample. Hemoglobin (an oxygen-carrying protein) and hematocrit (percentage of red blood cells) are also evaluated. Comprehensive Metabolic Panel: Reveals information about the patient’s kidney and liver function, electrolyte and acid/base balance, and blood sugar level. Erythrocyte Sedimentation Rate (SED Rate): Used to measure the degree of inflammation. Serum Protein Electrophoresis (SPE): Counts the various protein fractions in a blood sample. Acid Phosphatase: Determines if prostate cancer has spread (metastasized) to other parts of the body. Urinalysis with Bence Jones Protein: Bence Jones proteins are small proteins found in the urine. A test for these proteins helps to diagnose multiple myeloma or plasmacytoma. X-Rays (Plain Radiographs): Provides images of the architecture of the spine using different views such as anteroposterior (AP), lateral, and oblique. An x-ray reveals many conditions such as a fracture, and how a tumor affects bone. Technetium (T99) Bone Scan: Technetium is a radiation source used in bone scans to detect fracture, bone infection, or cancer. Magnetic Resonance Imaging (MRI): MRI is a highly sensitive imaging study that produces detailed three-dimensional pictures of bone and soft tissue. CT Scan with Myelogram: Myelography uses radiographic contrast media (dye) injected into the spinal canal fluid to illuminate the spinal canal, cord, and nerve roots. In conjunction with CT Scanning, images can demonstrate how the boney structures of the spine are impinging upon the spine’s nerve structures. After imaging studies are completed, biopsy is the best way to ascertain the tumor type. A biopsy is the microscopic examination of the tumor tissue and cells. Biopsy is often the only way to reach a definitive diagnosis of cancer. The procedure used to obtain the tumor specimen (sample) depends on many factors including the tumor location and the patient’s health. Biopsies can be performed two ways. A needle biopsy is performed through the skin (percutaneous) using image guidance, such as fluoroscopy. Tumor specimens can also be obtained using an open surgical procedure. The type of non-surgical treatment determined appropriate is dependent on many factors including the type of tumor (benign or malignant), its stage, treatment objective (e.g. pain reduction, cure), and patient’s life expectancy and overall health. Bracing (Corset): A brace or corset helps to stabilize the spinal column and may reduce pain. An orthotist may be involved in producing a custom-made brace to meet the patient’s specific needs. Chemotherapy: Chemotherapy treats and controls cancer by using drugs that destroy cancer cells by interfering with cell growth and its ability to reproduce (cell cycle). There are many types of chemotherapy drugs that may be combined with other treatments. Pain Therapy: Pain therapy is also called palliative treatment – the goal is to relieve pain, reduce symptoms, and prevent complications. These are treatments that do not cure the disease, but rather improve the patient’s quality of life. Treatment may include anti-inflammatory medication, oral or IV narcotics, and morphine pain pumps. Radiation Therapy: Radiation therapy can help to control disease by killing and eliminating cancer cells, shrinking a tumor, or preventing growth. Radiation targets the DNA of a malignant cell because it is more susceptible to radiation than a normal cell. Altering a cell’s DNA interferes with its ability to divide and grow. Radiation therapy is available as an external or internal treatment, or both. Internal radiation therapy is also called interstitial radiation and involves placing a radioactive substance in the body. The radioactive substance is sealed in a small container such as a capsule or tube. The goal of surgery, whether the spinal tumor is benign or malignant, is to reduce pain and to restore or preserve neurological function and spinal stability. Even after surgical resection (partial removal) or excision (complete removal), some tumors require non-surgical treatment such as radiation or chemotherapy. Surgery to treat a spinal tumor may be warranted when a specimen is needed (open biopsy), the tumor causes spinal cord or nerve compression, neurological deficit progresses, pain is unresponsive to non-surgical treatment, vertebral destruction exists, and spinal instability develops. Tumor Location: Not all spinal tumors are operable; some tumors may be located in an area of the spine that is difficult to reach. Chemotherapy or Radiation: These treatments can affect a patient’s white blood cell count. A low white blood cell count can compromise the body’s ability to fight infection and heal a surgical wound. General Health: Certain treatments affect appetite leading to weight loss and general health deterioration. Further, good nutrition is essential to wound healing. These procedures are used together to stabilize and reconstruct the spine. Instrumentation utilizes medical grade hardware such as cages, rods, and screws to stabilize the spine during fusion. Bone graft, bone cement, or BMPs, are used with instrumentation to facilitate fusion. As the graft material joins and grows around the instrumentation, spinal fusion occurs and creates a solid construct. The patient may need to wear a special brace following surgery to stabilize the spine while fusion takes place. The amount of time the patient is hospitalized depends on the type of procedure performed and the side effects experienced. For example, the side effects from radiation therapy or chemotherapy can be significant and may include nausea, loss of appetite, and fatigue. Fortunately, these side effects are treatable. After surgery, the treating physician closely monitors the patient’s condition and recovery. Periodic re-evaluation may require new lab tests and imaging studies. Pain management may be a component of long-term treatment. Physical therapy may be prescribed to help a patient rebuild flexibility and strength. Additionally, the treating physician may add nutritional support to the patient’s recovery program. The following section provides a brief summary of several of the most common types of spinal tumors, and highlights the most common treatments. Aneurysmal Bone Cyst (ABC): An ABC is not actually a “real” tumor. However, this abnormal growth has many similarities to tumors and is treated in a similar fashion. An ABC is a solitary blood-filled bone growth lined by a thin wall of fibrous tissue. These cysts usually affect people aged 10-30 years. The vertebral bodies and posterior elements are usually affected. Symptoms may include swelling, pain (particularly at night), and tenderness. The most common treatment is embolization (i.e.. closing off the cyst’s blood flow) and resection (i.e. surgical removal). Giant Cell Tumor (GCT): A giant cell tumor is an uncommon and aggressive type of tumor. These primary tumors are usually benign and typically occur in patients aged 20-40 years (skeletally mature). These tumors affect women slightly more than men. In the spine, GCTs are more common in the sacrum and can extend to involve the lumbar spine. Vertebral GCTs can invade the spinal canal and compress the spinal cord. Depending on the location and extent of the tumor, symptoms may include swelling, bone fracture, joint pain, bowel and bladder dysfunction and other neurological deficit (e.g. weakness, numbness).The most likely treatment will include embolization (i.e. closing of the blood flow) and resection (i.e. surgical removal). Radiation therapy may also be prescribed. Hemangioma: A spinal hemangioma is a primary, benign tumor most common in the thoracic and lumbar spine. . This type of tumor typically affects the vertebral body, but also can affect muscles. The tumor has few symptoms, and is often found on examination for another condition. It is most common in patients aged 30-50.Hemangioma patients are closely watched for signs of compression fractures, neurologic dysfunction or the development of a soft tissue mass as a result of the hemangioma.Treatment depends on the size and location of the hemangioma. A combination of embolization (i.e. closing the blood flow), excision (surgical removal of the tumor) and radiation therapy is typical. Osteoblastoma: Osteoblastomas are benign primary tumors consisting of poorly formed bone and fibrous tissue. This type of tumor is most often found in patients younger than 30 years and affects males more than females. Of all osteoblastomas, approximately 40% are located in the spine. Usually the spine’s posterior elements are affected, although the tumor has been found to affect the vertebral bodies and sacrum.Symptoms are dependent on the location of the tumor and may include swelling, tenderness, pain, and neurological deficit (e.g. weakness, numbness).A total surgical removal of the tumor is generally the treatment of choice. Osteoid Osteoma: Osteoid osteoma is a benign primary bone tumor seen in all age groups. The cause of this tumor is unknown. The tumors are usually relatively small. Rarely is it found in children younger than 5 or in adults older than 40 years. The majority of patients with osteoid osteoma are aged 5-25 years and males are more commonly affected than females. Although osteoid osteoma has been reported in all skeletal parts, it affects the spine in 10-14% of the cases.Osteoid osteoma in the spinal column may cause stiffness, scoliosis, and pain that is worse at night. At first the patient’s posture is affected. With time structural changes may develop that cause an abnormal curvature of the spine to the left or right side.The typical treatment of choice is usually a surgical removal of the tumor. Chondrosarcoma: Chondrosarcoma is a rare, slow-growing malignant tumor. It is more common to the thoracic spine, although it is found at all spinal levels. The tumor can destroy the vertebrae. The average age of occurrence is 45 years and men are affected more often than women. Chondrosarcoma can spread.Symptoms include pain, a palpable mass, and neurological complaints (e.g. weakness, numbness).Surgery is usually necessary to remove the tumor, and recurrence is possible. Radiation and chemotherapy treatments have mixed results. Chordoma: A chordoma is an uncommon and slow-growing neoplasm that can spread. In adults, chordomas are the most common primary malignant spinal tumor. This tumor is found to occur in patients aged 30-70 years. Chordomas usually affect the low back (lumbar spine) and sacrum and when found, the tumor is usually very large. The tumor may involve the nerve roots.Symptoms may include gradual onset of pain with pain increasing as the tumor grows, numbness, weakness, constipation, and incontinence (loss of bladder control).Surgical removal of the tumor is the treatment of choice, but only if it can be performed without affecting the nerve structures that are usually very close to the tumor. Radiation therapy may also be employed. Ewing’s Sarcoma: Ewing’s Sarcoma is a highly malignant primary bone tumor often observed in children (aged 10-20 years). Males are affected more often than females and it is rare in adults older than 30 years. The most common spinal site is the sacrum, followed by the lumbar and thoracic vertebrae. The tumor may extend into the posterior spinal elements. Rarely does Ewing’s Sarcoma affect the cervical spine.Pain is usually the chief complaint among patients.The treatment combination of surgical removal, radiation therapy and chemotherapy is often pursued. Lymphoma: Non-Hodgkin’s Lymphoma occasionally involves the spine; the cause is not known. The tumor may extend from bone (e.g. vertebral body) into the spinal canal and cause spinal cord compression.The most common symptoms are pain, weight loss, fever and a palpable swelling.Lymphomas usually respond to radiation and chemotherapies. Surgery may be needed to address compression of the spinal cord or spinal instability. Multiple Myeloma: Multiple myeloma is the most common primary malignancy of bone and the spine. The cause is unknown. Multiple myeloma is rare in children, affects a small percentage of people under 45 years, and is most dominant in people aged 60-65 years.The disease destroys bone, and may involve other organs such as the kidneys.The most common treatments are radiation and chemotherapy. Surgery may be required to address spinal cord compression or spinal instability. Osteosarcoma: Osteosarcoma of the spine is rare. It usually affects patients in their 40s and is predominant in males. Some patients with Paget’s disease develop spinal osteosarcoma.This malignant tumor is found to affect any level of the spine, although the lumbar and sacral regions are more common. Osteosarcoma spreads to other areas of the body.Symptoms include pain, a palpable mass, loss of height, and neurological deficit (e.g. weakness, numbness).Surgical removal of the tumor followed by radiation and chemotherapy is the common treatment process. Plasmacytoma: In the spine, a plasmacytoma is a bone tumor that most commonly affects the thoracic vertebra. Plasmacytoma usually develops in the bone marrow and typically affects younger people. Since plasmacytomas can develop into multiple myeloma, patients are carefully monitored for years following diagnosis. This tumor can cause compression fractures involving the nerve roots and cause spinal cord compression. Symptoms are dependent on the spinal level involved, although pain is predominant.Radiation therapy is usually employed, with the addition of surgery for patients requiring decompression of nerve structures and/or stabilization of the spine.